The Precisionair's state of the art ATR42-600 has today landed at its home city of Dar Es Salaam. 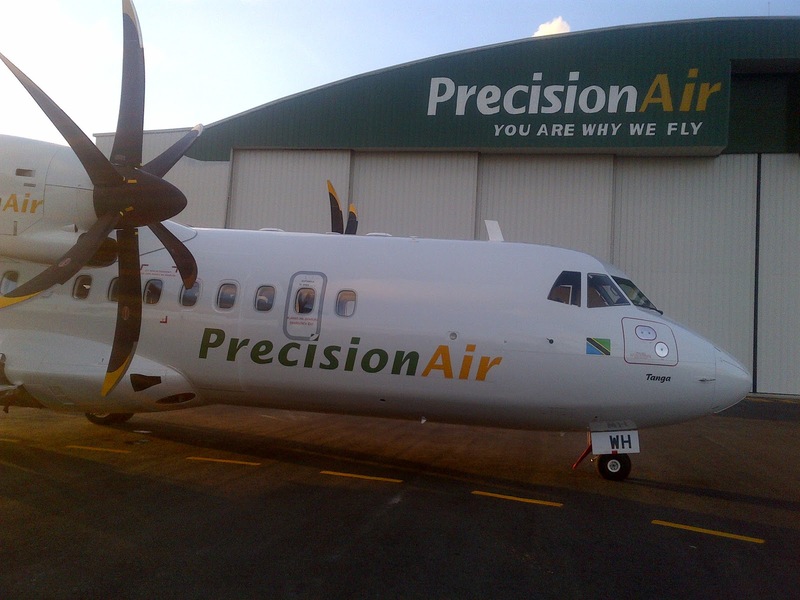 This is the very first ATR 42 of the latest -600 series to enter into commercial service, hence Precision Air Services Plc. 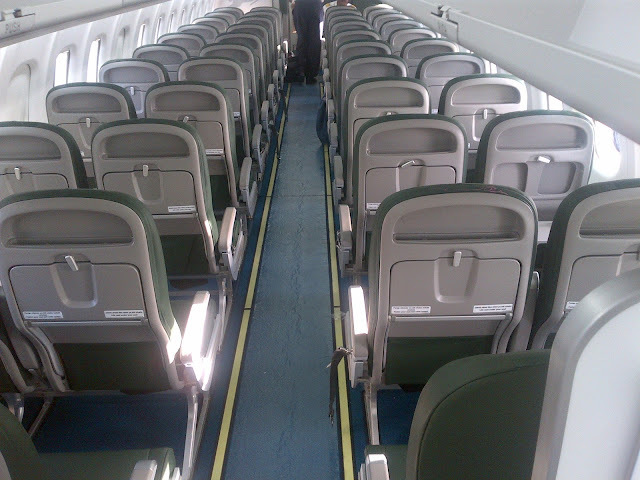 becomes the first airline to operate ATR42-600 globally. 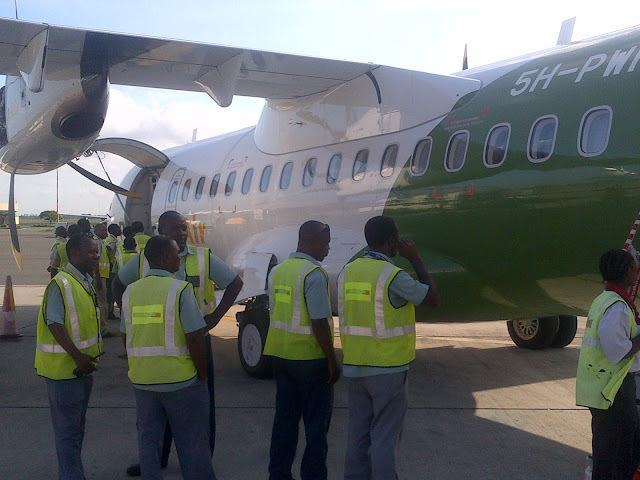 Some of staffs at Dar Es Salaam JNIA looking at 5H-PWH ATR42-600, MSN 1001. 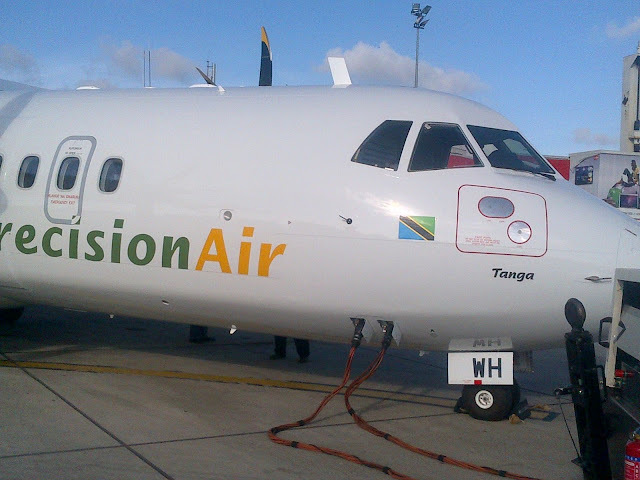 The aircraft registered in Tanzania as 5H-PWH and baptised as "Tanga" landed in Dar at 16H35 Local time and after customs clearance it was taxied to Presicionair's state of the art Hangar for other preparations before it starts its flying duties. 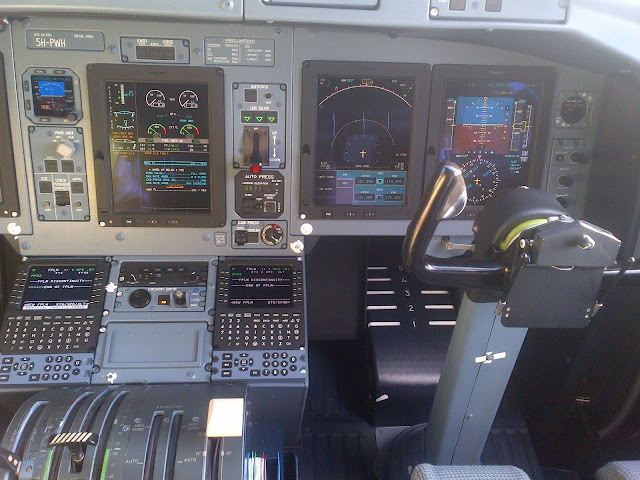 A full avionics flight deck. 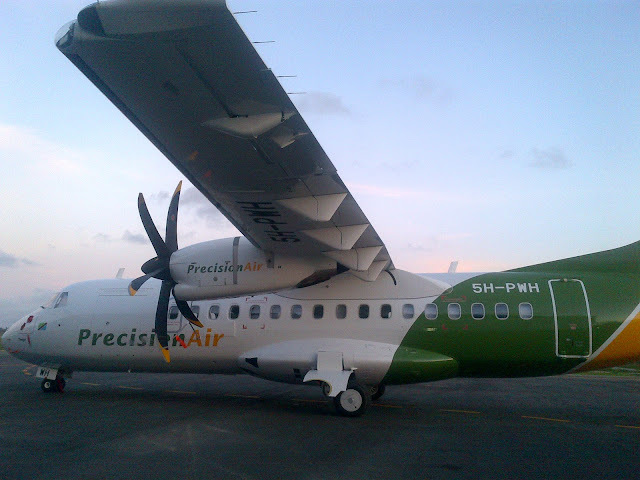 5H-PWH parked infront of PWs HANGAR.